We have lots happening this week! 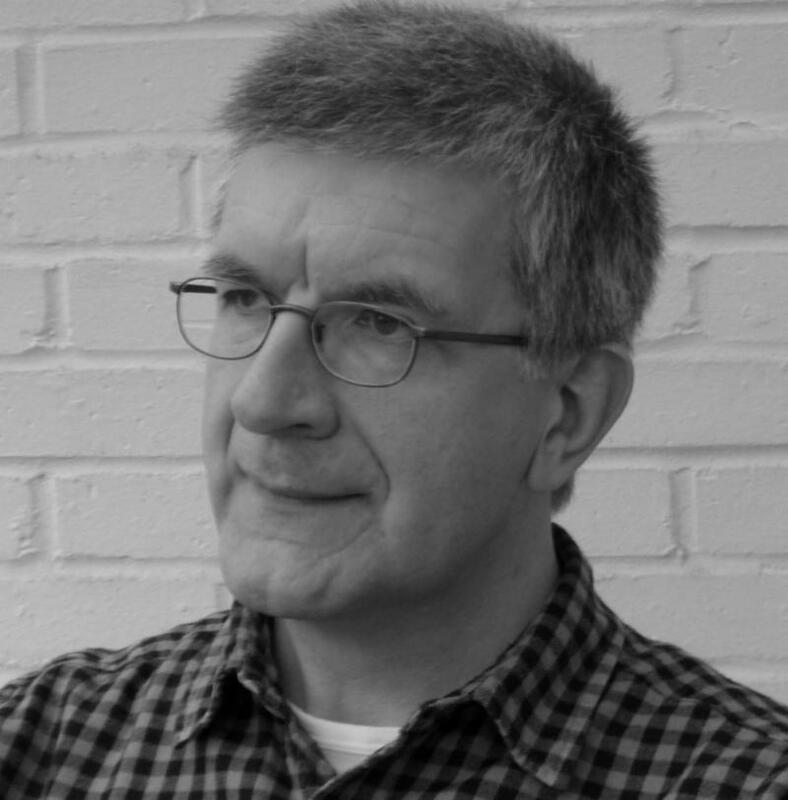 Tuesday begins with an amazing lecture by British scholar, Rick Poynor presenting his recent research on the late David King, a designer, activist and visual historian. Following the lecture is the senior BFA exhibit by Lee Sullivan in Gallery 231. The Student Art Club meets on Thursday and Clay Club meets on Friday. 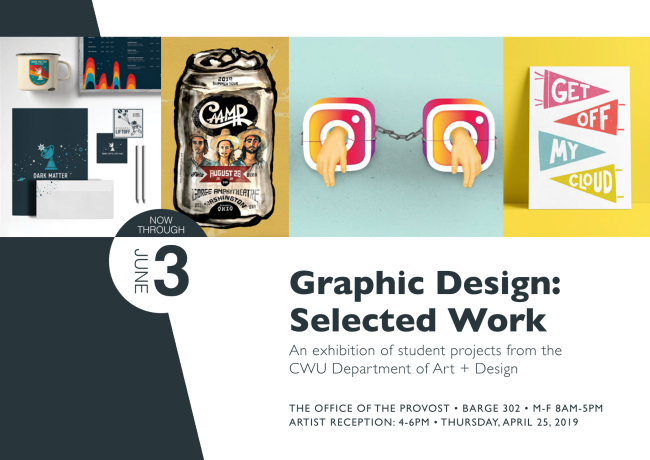 Selected Work by graphic design students is on display in the Provost Gallery. And we just installed the first exhibition in the Student Success Office in Bouillon 204. Next week is the first CWU Art Walk on April 25. 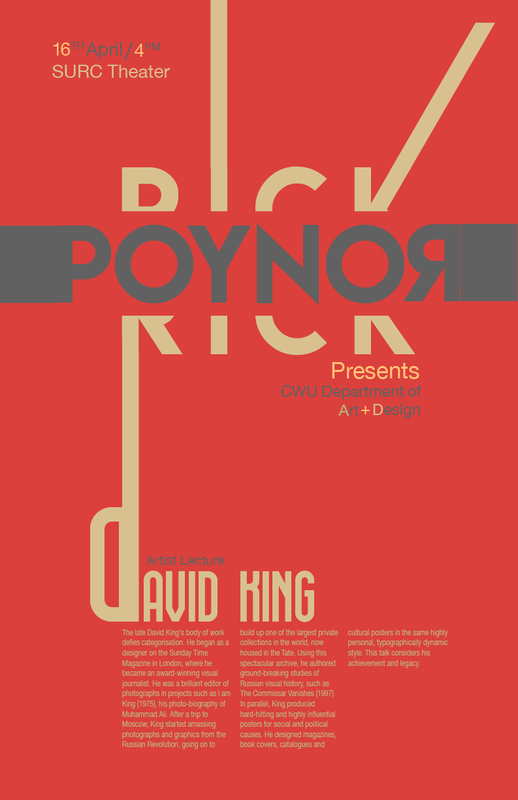 The CWU Department of Art + Design will feature a lecture by visiting scholar Rick Poynor on Tuesday, April 16, at 4:00 p.m. in the SURC Theater. Poynor is a writer, lecturer, curator, and Professor of Design and Visual Culture at the University of Reading in England. The topic of Poynor’s lecture is the late David King, a British designer, activist, and visual historian, whose collection of photographs and graphics from the Russian Revolution are held in the collection of the Tate museum. In his talk Poynor will consider David King’s achievements and legacy. King began as a designer on the Sunday Time Magazine in London, where he became an award-winning visual journalist. He was a brilliant editor of photographs in projects such as I am King (1975), his photo-biography of Muhammad Ali. After a trip to Moscow, King started amassing photographs and graphics from the Russian Revolution, going on to build up one of the largest private collections in the world. Using this spectacular archive, he authored ground-breaking studies of Russian visual history, such as The Commissar Vanishes (1997). In parallel, King produced hard-hitting and highly influential posters for social and political causes. He designed magazines, book covers, catalogues and cultural posters in the same highly personal, typographically dynamic style. An artist reception for “Acquiesce” will be held from 5:30 – 7:00 p.m. on Tuesday, April 16 at Gallery 231 in Randall Hall at CWU. Acquiesce to tension. 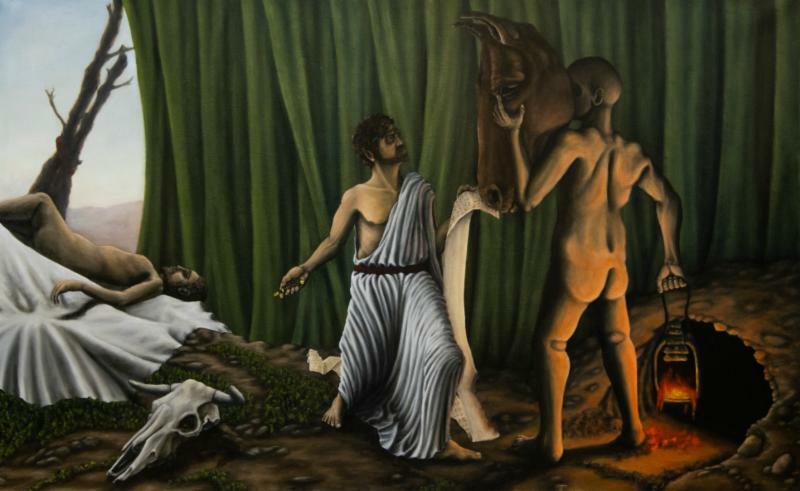 This exhibition, the culmination of a fine arts education at CWU, presents allegorical pieces with imagery derived from a personal, invented mythology. He creates detailed paintings of mythical events where the narrative and dramatic thrust is clear. He displays lush jewelry work that celebrates a surprising or disturbing set of creatures. The precise meaning or relationships of the images are unclear. 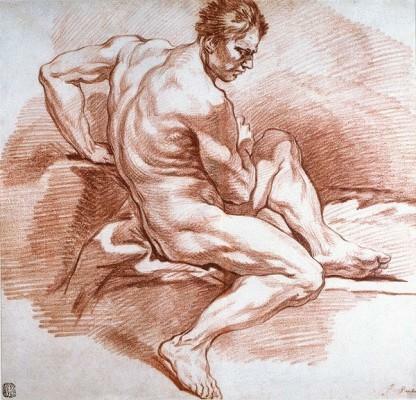 It is in that tension of almost understanding that the artist wants to dwell. Sullivan compares his goal to the experience of unearthing some mysterious religious artifacts from a civilization completely lost to time. “Acquiesce” will be open between April 16 and April 19. Gallery hours are 9 a.m. – 4 p.m. daily. It takes place in Gallery 231 in Randall Hall. 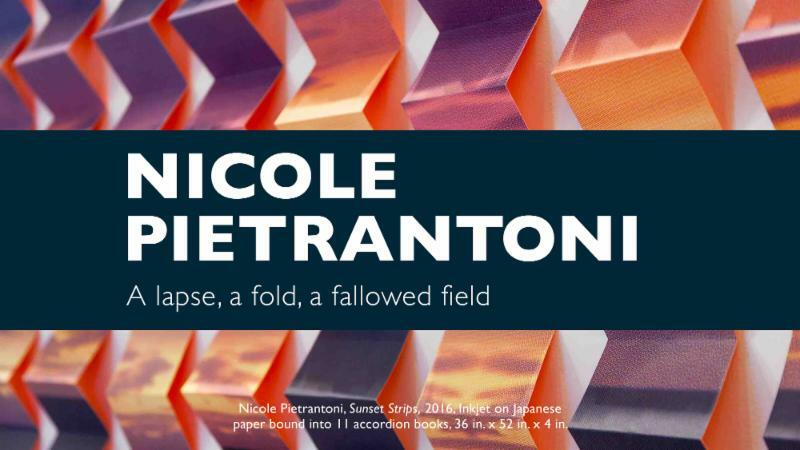 A lapse, a fold, a fallowed field will remain on display through April 21. The Student Art Club : The regular meeting is 4PM Thursday in the Breeze Thru. Really, this week's discussion, "how to price your artwork". 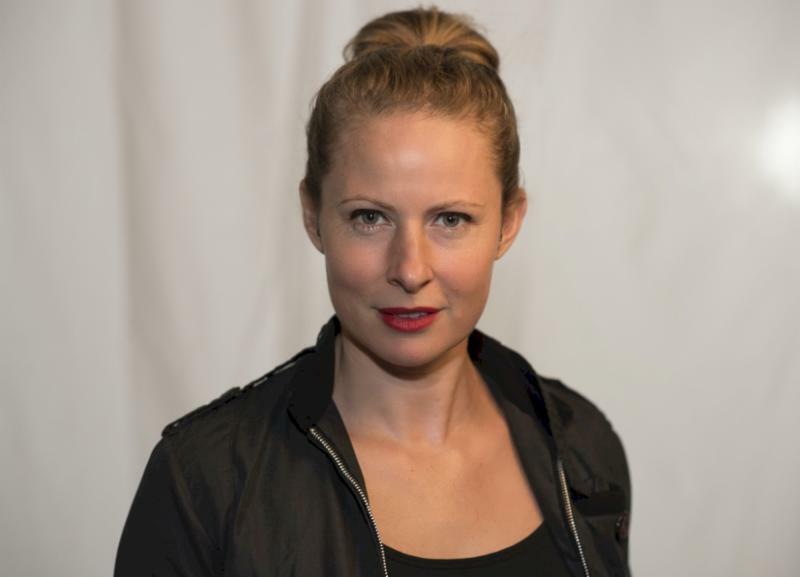 Noelle Mason is a multi-disciplinary artist exploring the most dehumanizing aspects of our society as she questions the complex relationships between violence and masculinity. Noelle has shown nationally and internationally in a variety of non-traditional spaces, galleries, and institutions including the National Museum of Mexican Art, Orlando Museum of Art and the Museum of Fine Arts St. Petersburg. She is the recipient of a Joan Mitchell Foundation Artist Grant, Jerome fellowship, Santo Foundation Individual Artist Grant, the Florida Prize for Contemporary Art and the Southern Prize. In 2004 Noelle was a resident at the Skowhegan school of Painting and Sculpture. She holds a BA in both theatre and fine arts from the University of California, Irvine and received her MFA from the School of the Art Institute of Chicago. 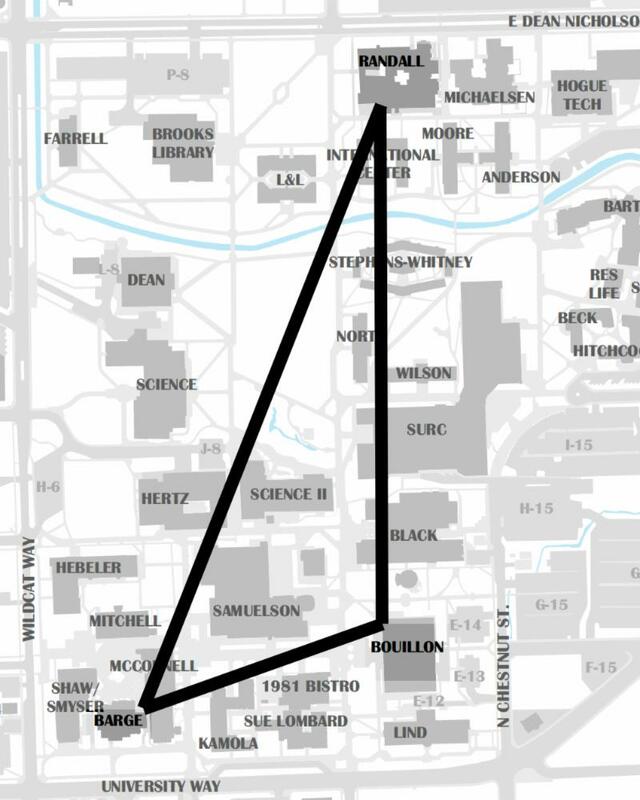 Noelle currently holds the position of Associate Professor of Art at the University of South Florida. My art is an autobiographic sculptural approach to commemorate my identity as a Hispanic-American and the stories of where I come from and what I see as a minority and Latino in the United States. In this work the memories are sculpted metaphorically and the viewer is left only with clues to decipher what is going on within the context of the pieces. All the viewer can know is that the work is current. Through reliefs, sculptural, and narrative story telling I’m referencing ancient and medieval art. Symbolically making up for all the time within American identity and society that the Hispanic perspective has been left in the dark. My work is based off the perspective of my experiences as a Hispanic man in America, my family, and personal experience and familial history as a vessel to refute the colonial narrative. 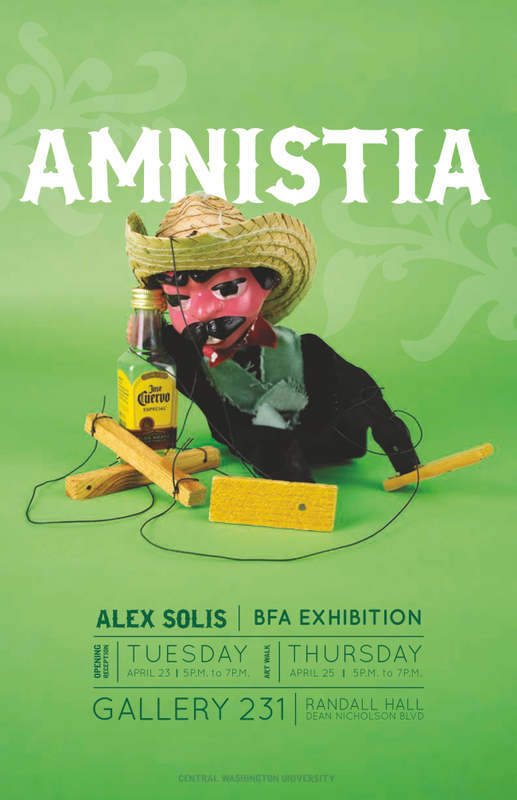 This work addresses immigration, gender roles within Hispanic culture, tradition, and my memories as a child of Mexican immigrant parents and our life here in the United States. The use of the clay in my ceramic work in itself is a metaphor. The versatility and pliability of the clay reminds me of struggles my family faced when starting a new life here. The clay is sculpted and molded just as one is who is submerged in a new culture. The medium in resilient and with preservation and appreciation, clay can withstand the test of time giving future generations clues to what life was like for a Hispanic American man in 2019. The first ever Central Washington Art Walk is Thursday, April 25 from 4 - 6pm. 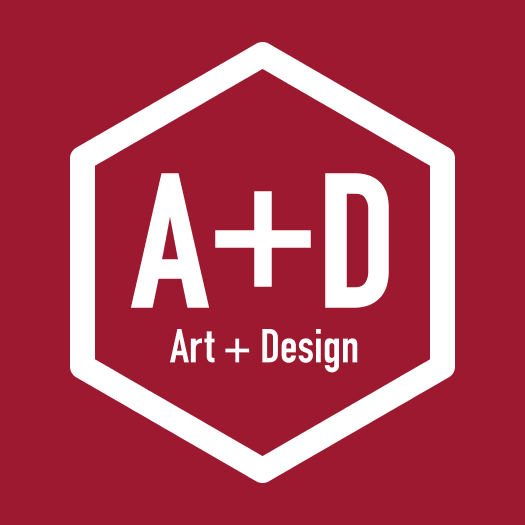 Come join us for artist and designer receptions at the Provost Gallery in Barge Hall, the Student Success Gallery in Bouillon Hall and Gallery 213 in Randall Hall.